Use your hand of 7 cards plus any of the 3 community cards to make a word worth valuable money and stocks. Collect patents to earn royalties and invoke unique privileges. Patents, money and stocks add up to victory. 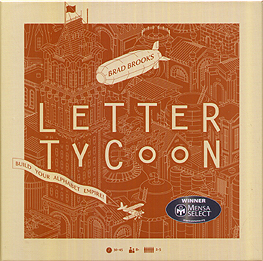 Create the most valuable empire and YOU can become the LETTER TYCOON.